The Times Square Edition is the second hotel in NYC for the brand. NEW YORK—In the heart of the city that never sleeps, in the epicenter of culture and convergence, is a hotel that’s breaking all of the rules in an area with a history of doing just that. Feeding on the marriage of old and new, locals and tourists, classic and modern, the The Times Square Edition opening was the culmination of a marriage between two industry greats. Hotelier, entrepreneur and the founder of New York’s landmark Studio 54, Ian Schrager, along with Marriott International CEO Arne Sorenson, welcomed the ninth Edition-branded property to midtown Manhattan at a media launch event in the new space. Since partnering, both of Schrager’s collaborations with Marriott—Edition and Public Hotels—have only gained momentum opening locations across the globe, but this marks something special, joining Edition’s first NYC hotel in the NoMad district. Often marked as a tourist hot spot with commercial appeal, both Schrager and Sorenson were energized by the location, feeling the property will attract much more than NYC newbies. Marriott isn’t a stranger to the area either, opening the New York Marriott Marquis back in 1985, and paving the way for a new time in Times Square. People always questioned Schrager and his endeavors, he said, but he’s confident The Times Square Edition will not only feed on the area’s notability, but on the partnership behind the property as well. “Everyone was skeptical about our relationship [Schrager and Sorenson], but I say let them come to the hotel and see for themselves,” Schrager said. Born out of mutual admiration and a common goal of revitalizing the metropolitan hub, the new hotel is truly the brainchild of two distinct powerhouses. It was a space Marriott had been wanting to get into, a niche that turns both travelers and locals on. “Our reputation historically would have suggested that it was obvious we had neither the expertise nor the permission to get into [the lifestyle space]and Ian gave us both. By going to the ‘father of the boutique hotel space,’ we were going to somebody who would give us that permission,” Sorenson said. The hotel features what lifestyle travelers have come to know, everything from chic F&B outlets to hip common spaces, but much more, expanding on expectations. Offering Times Square’s first Michelin-starred chef and fine dining restaurant set amongst the rowdiness, outdoor Parisian-style terraces and an expansive indoor garden in the middle of the concrete jungle, the hotel is a showcase of contradictions. Joking that the plants making up the indoor gardens were imported from the Garden of Eden, Schrager suggested that The Times Square Edition is not only unique in its offerings but considers it Times Square’s first luxury option. “Times Square is a class of absolute contradiction—high-brow, low-brow, everything—it’s a mixture, and that’s always been its strength, that’s always been its DNA,” Schrager said. That just may be the story of The Times Square Edition, the juxtaposition of worlds, which happens to mirror the crowd the property caters to. 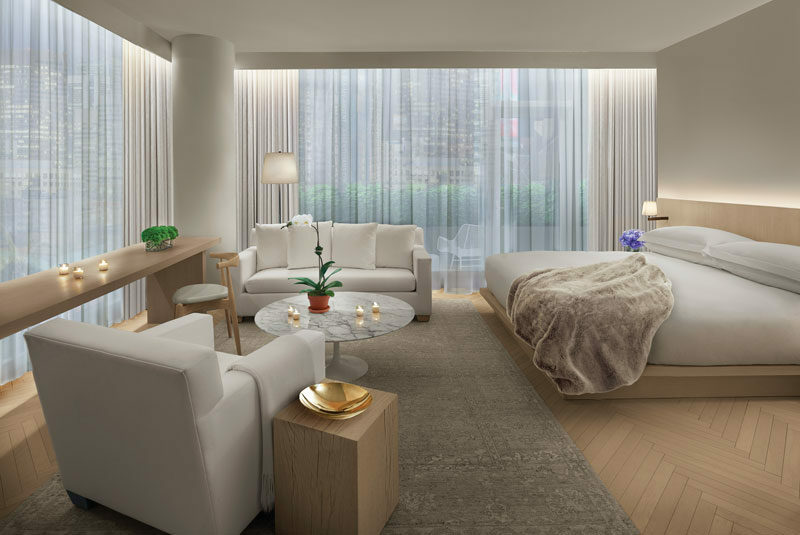 Schrager sees the future of the industry, and for lifestyle particularly, becoming more refined and sophisticated, with guestrooms embracing the boutique model (fewer guestrooms with more space and elevated amenities). For Sorenson, the trick is brand consistency, while also maintaining a level of uniqueness. “Think about Ian’s hotel chapter before we were together. Start with this question: In the lifestyle space, what is the global brand? Every hotel had a different name and that means that every hotel had to have an individual story. Unless you were deeply knowledgeable about the hotel business, you didn’t necessarily know that these stories were related,” he said. Sorenson noted that this isn’t the case with Edition hotels however; it’s a brand whose story needs to stay the same with hints of locality. 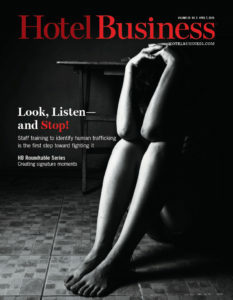 “The trick is to deliver as powerful a hotel story, but have it deliver strength from chapter to chapter so that across the world, it’s a portfolio of hotels that will work together, and there’s uniqueness from hotel to hotel,” Sorenson said. The Times Square Edition’s story is one of simplicity, Schrager said, as the hotel puts as much emphasis on its design as its service. Not forsaking his Studio 54 days, Schrager refers to his hospitality ventures as “hotels as theater,” and this property is no exception. The hotel includes the Paradise Club—not quite nightclub and not quite theater, Schrager is still searching for the in-between. The 3,000-sq.-ft. space will feature performances from Brooklyn-based House of Yes, with other entertainment showcasing dance, voice, aerial acrobatics, choreography, costume design and magic displays. “By adding a level of entertainment, art and visuals, and making it available to everybody—because the product being offered does its own screening process automatically—I think that’s the future of doing lifestyle concepts at night,” Schrager said. The key is having an outlet for all and transforming a neighborhood once again, something that’s never been difficult for Schrager or Sorenson.